This project is a collaboration between local artist Cornelio Campos, Charlie Thompson-a professor of Documentary Studies and Cultural Anthropology at Duke-and students in Thompson's Fall 2018 class, Farmworkers in North Carolina. As part of their coursework, the students researched the history of the Native American, African American, and Hispanic communities' involvement in North Carolina agriculture. Ideas for respectful and powerful imagery that emerged from the study of that history, with all its ethical downfalls, will be the basis for a mural that Campos will create during a residency in the Ruby. The students' work depended on the visionary and artistic assistance of Cornelio Campos-a former North Carolina farmworker himself. It also relied on the historical and cultural consultation of agricultural educators Vivette Jeffries-Logan and Justin Robinson. 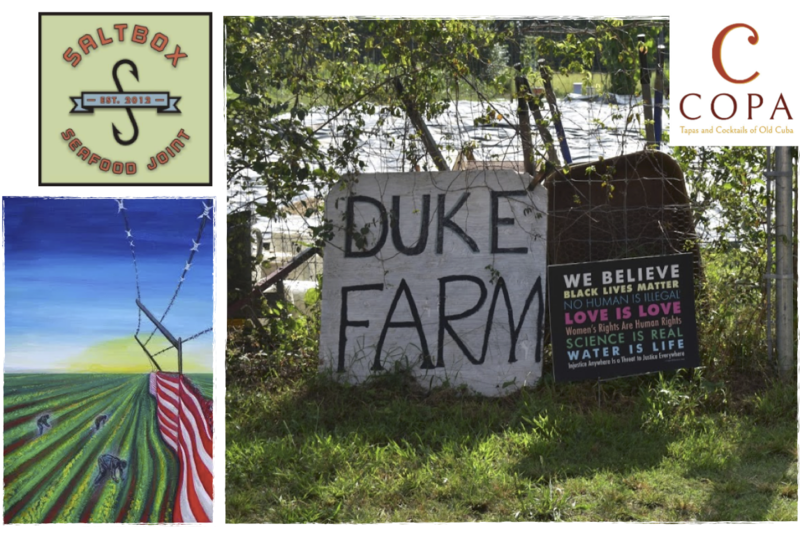 Student Action with Farmworkers and the Duke Campus Farm have been key collaborators, as well. The project is an extension of the advocacy and education programs relating to farmworkers and agriculture by both groups. The students involved in this project are Lydia Hendrick, Katie Waeldner, Marivi Howell-Arza, Sujeiry Jimenez, Erick Aguilar Ramos, Cristian Santiago, Henry Kohn, Shom Tiwari, Katie Nelson, and Bella Letourneau. The mural will launch on December 12 in the Ruby from 5-7 p.m. There will be a formal welcome at 6 p.m. Refreshments will be provided.